Agile and DevOps software methodologies are preferred by today’s enterprises as they need agility for their product development with shorter release cycles. There are multiple interdependent components in the process of the software development. Components like testing code and system integration can prove impossible if the test environment lacks some crucial dependencies which are a must for the processes to continue. 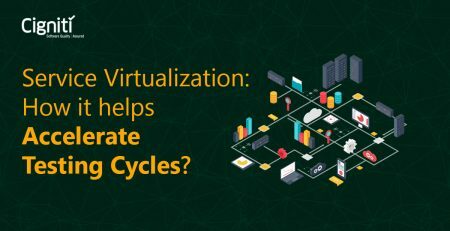 This is where the process of Service Virtualization (SV) comes in place as it facilitates easy access to required components that actually impede the process of development and testing. SV provides an emulated test environment wherein rapid access to all dependent factors is made available. It emulates the software components that actually block the smooth functioning of the developers and quality analyst teams. Moreover, by emulating the behavior of essential components, SV allows complex applications to undergo integration testing much earlier in the software development life cycle for quality product release. SV helps shift left the Software Testing Life Cycle (STLC) wherein development and testing are done in parallel and issues are identified at a very early stage. It further helps to fix the issues early with close coordination between developer and tester teams. By using SV, you can lower the additional costs on lab infrastructure and on other software, as also reduce the configuration effort. SV as a whole helps deploy higher quality software within shorter time frames. 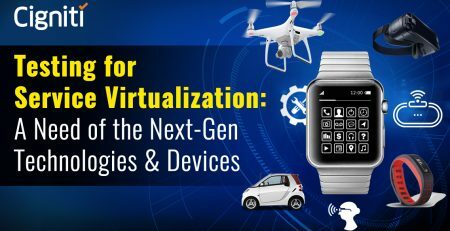 A Gartner research report states that the market for testing and service virtualization is around US$200 million and is growing at a CAGR of 12%. Also, per Gartner estimates, the overall software testing tools market was around $1.5 billion, with a 5% growth rate in 2014. It is evident from the above data that the SV segment would have a significant impact in the future as the need will be felt more and more by the enterprises. The significance of SV is more effective with respect to development of cloud, API and SOA-based application systems. Due to the emulated environment created, SV enables product testers as well as QA teams to test an actual application in a simulated environment that is an actual replica of the deployment environment. Specialist testing service providers with professional QA teams are thus the need of the hour. These specialists perform in-depth testing of each component that can be tested individually and in context of real environments. Individual classes are tested by simulating the objects by the QA teams. Further, QA teams can offer API tests that verify and validate the technically correct functionality and behavior of interfaces through automated request generations. All these practices help to identify issues earlier in the life cycle rather than being identified at the time of integration, which might be a costly process to fix them at a later stage. It also allows shifting left your testing, such that issues are identified at the early stages of the software development life cycle. Stubs can also be used as replicas to draw real time replications. 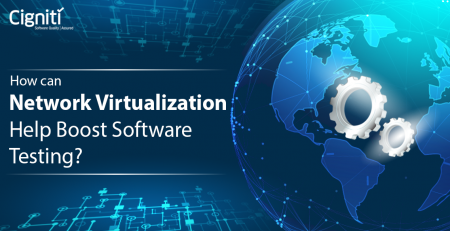 Thus, it is important that Service virtualization becomes a part of your core compatibility. Selecting the right QA vendor that’s most suitable for your enterprise culture, therefore, is very important for your future and long term success. This also helps to obtain good returns on investment. Today’s market offers both open source and commercial tools that offer SV and API testing solutions that are provided by specialist QA vendors who have a good understanding of all SV principles. Finally, select a QA vendor who works with your existing development and testing frameworks and provide software testing tools of your choice. They can be deployed throughout the entire production cycle, consistently delivering the same behavior and functionality for anyone who wants to use them at any time. A complete and well defined Service Virtualization strategy helps bring about quicker ROI. By using effective SV practices, helps enterprises with faster time to market and improves application quality.